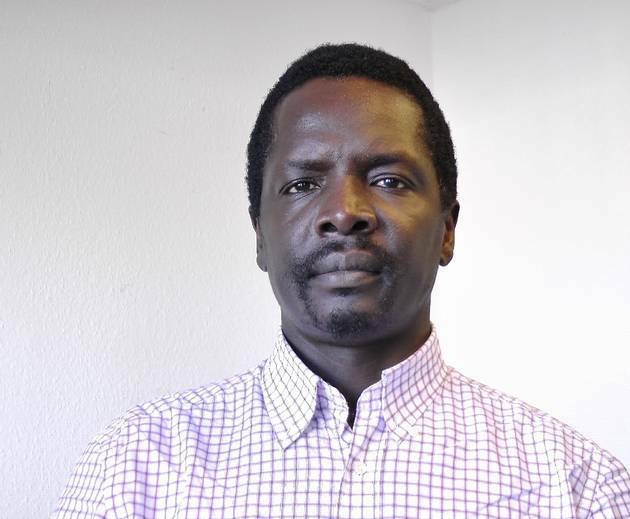 Thomas Mboya Ochieng is a refugee coordinator in Eberswalde, a small town in eastern Germany. His work is not just a job, but his passion – he also came to Germany as a refugee. Thomas Mboya Ochieng doesn’t have an easy job. As the honorary refugee coordinator, he assists Eberswalde’s 1,100 refugees. But for him, they are much more than just clients. “I was also in the same process like them. I understand their expectations, I understand their difficulties and I understand where they really need help,” he said in his low, gentle voice. Ochieng was also a refugee. In 2009, he fled from Kenya to Germany with his two children. He still remembers every detail of this experience – the never-ending interviews at the Federal Office for Migration and Refugees, the months of fear and agony until his permission to stay in Germany arrived, and his life at the emergency hostel for refugees. “I know from my own experience how terribly boring it is to live in a hostel,” Mboya said. He now feels so much at home in Germany that he mixes German words with English. Instead of ‘hostel’, he used the German equivalent ‘Heim’. Back then, there wasn’t an office like the one he runs today. Social workers sometimes came to the hostel where he was living. “My social worker was friendly, but she had so much work. There were so many refugees who had questions, some of them making trouble, some were arrogant. The social workers were overwhelmed; they could not assist a lot,” he said. He’s been the honorary refugee coordinator of Eberswalde since March 2015. He informs the refugee community about the different services offered by volunteers across the town. There are German courses, orientation tours around the city and much more. He also explains to them the different government services and departments they can turn to for help. But most of all he tries to build bridges between the refugees and the locals. “Refugees normally do not trust the people they go to for help. When you go through the asylum process here in Germany, you have to go through many interviews and there is a lot of fear. So if the person you seek help from is a German, you must know him properly before you trust him and open up. It’s an important part of my job to build that trust,” Ochieng said. It’s working well. “He’s one of us,” said Kenyan refugee Wyclif Otieno. He came to Germany six years ago. Working for him is no-go, because he doesn’t have a residence permit. But he came to Thomas Mboya Ochieng, because he still was hoping for something to do. “There isn’t anything you can do in the hostel. You just wake up, eat and sleep. You wake up, eat and sleep again. And so it goes. But I decided that’s not for me,” Otieno said. Wyclif Otieno now volunteers at a local charity assisting elderly residents of Eberswalde. “It’s helpful, I have never done it before,” he said. If he gets a residence permit, he would start to look for a job to work with the elderly, he added. Somali Malyam Ali Mohammed is another refugee Thomas was able to assist. “When you are new to a place, you always stay at home,” she says with a shy smile. But Mohammed did not want to leave it there. She wanted to find her way around the new, strange town the authorities had sent her to live in. So she went to see Thomas Mboya. “If you come to this office, Thomas will help you. It’s really good, because if you do the right thing for yourself, you feel good. If you only stay at home, you feel bad,” the 28-year-old said. She first started with a sports group so she could exercise and mingle with locals. Next was the job issue. In Somalia, she had trained as a kindergarten teacher. Thomas connected her to a kindergarten, which gave her a one-month internship. “It was really great for me. I could not speak much German, but I learnt a lot at the kindergarten. And I made many contacts with children and with grown-ups,” she said. Malyam Ali Mohammed just got her residence permit, which allows her to work in Germany. She dreams of working as a kindergarten teacher one day – “in my city of Eberswalde,” she said with a broad smile. Ochieng has also gotten to know the constraints of his post. He can only offer voluntary work and internships.